A rise in road deaths in France for the first time since 2001 sees a major package of new road safety rules despite the overall trend still being significantly downward. Also, Big Stig makes it to Amsterdam. A group of drivers, also in Amsterdam, are landed with whopping fines after missing a road sign. Major package of safety measures announced despite far fewer road deaths in 2014 than 2012. Road deaths fell by nearly ten percent in France in December but it wasn’t enough to reverse the unfortunately upward trend seen over the year. There were 3,388 fatalities in 2014 compared to 2013, a rise of 3.7% after more than a decade of consistent falls. The bulk of the increase came from pedestrians and cyclists (both up 8%) with moped rider fatalities rising 6% and motorists 3%. Truck driver and biker deaths were stable. 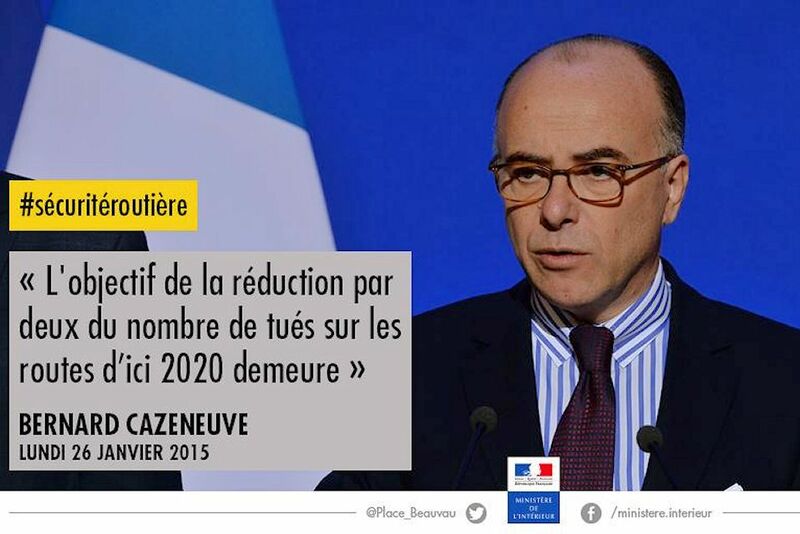 As expected, Interior Minister Bernard Cazeneuve has announced a major package of measures – twenty six in all – to get the country back on track in achieving its target of fewer than 2000 road deaths by 2020. Headline measures include cutting the blood alcohol content of drivers with less than three years’ experience to 0.2g/l (from the usual rate of 0.5). Some have interpreted a ban on headphones (and anything else liable to distract drivers behind the wheel) as also including telephone hands-free kits. Significantly, the authorities also want to make a ‘registered driver’ liable for any infringements incurred by a vehicle. Parking will also be banned within 5m of pedestrian crossings; mayors will be able to lower speed limits in entire metropolitan areas; more ‘double tap’ two-way radar cameras will be rolled out to catch front and rear number plates; and the speed limit on accident prone stretches of road will be lowered to 80kmh. Other measures relate to improved education and, particularly, more sophisticated ways of recording accidents to isolate specific causes. Overall, while comprehensive, the new measures lack the bite of the unmarked camera car programme introduced in March 2013. That lead to immediate – though un-sustained – falls in fatal accidents. Despite the many lives saved, arguably road safety in France is still victim to that success. While many talk of crisis it should be noted that the death toll last year was still significantly less than the 3,653 fatalities seen in 2012. 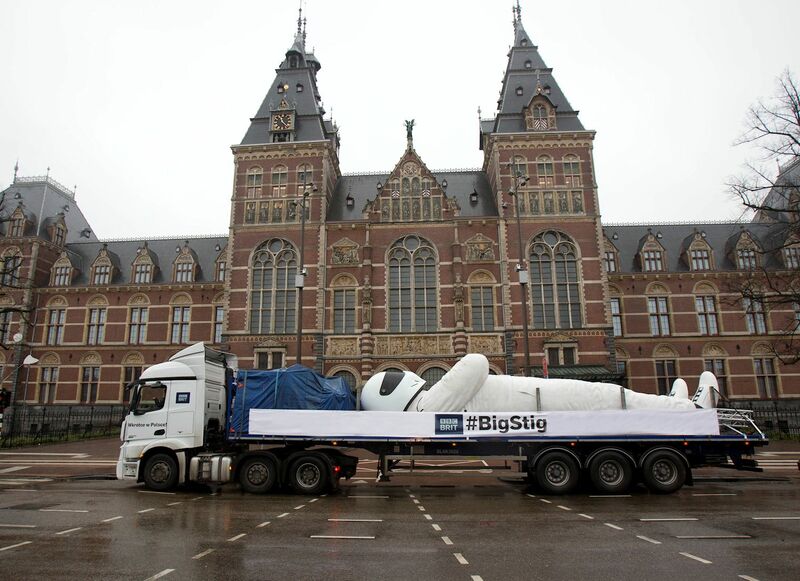 Big Stig outside the Rijksmuseum in Amsterdam yesterday, on the way to Poznan, Poland, where it is expected to arrive today. Follow along at #BigStig on Twitter. NETHERLANDS. Up to thirty drivers were subject to €230 on-the-spot fines today after ignoring junction closed signs on the A10 Amsterdam ring (via @DutchTransport). The road was closed following an accident at Overamstel but the drivers, all approaching on the A2 from Utrecht, apparently missed the red X signs above the lane. There is some doubt about whether the sign was correctly displayed.